Those were some of Bradley Wiggins‘ first, choice words to television cameras shortly after becoming world time trial champion. Wiggins had been talked up in Spain ahead of the time trial – a strong team time trial performance and a tough, technical course all playing to his favour against the blunderbuss style of Tony Martin – and he showed why. His was a pitch-perfect ride on the smooth roads around Ponferrada. Into the headwind opening section and towards the final two climbs, he was consistently up against his rivals, Martin included, and he saved enough energy for the final leg-sapping climbs. 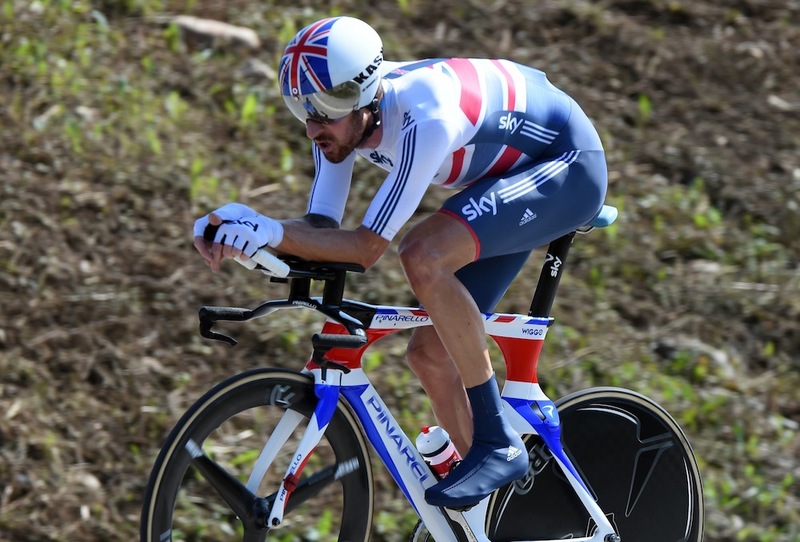 It was classic Wiggins, on a true ‘tester’s’ course that rewarded pacing, technical skill and power. It was the sort of ride that thousands of club riders strive for on a Sunday morning up and down the country. He’ll certainly be remembered for this ride. 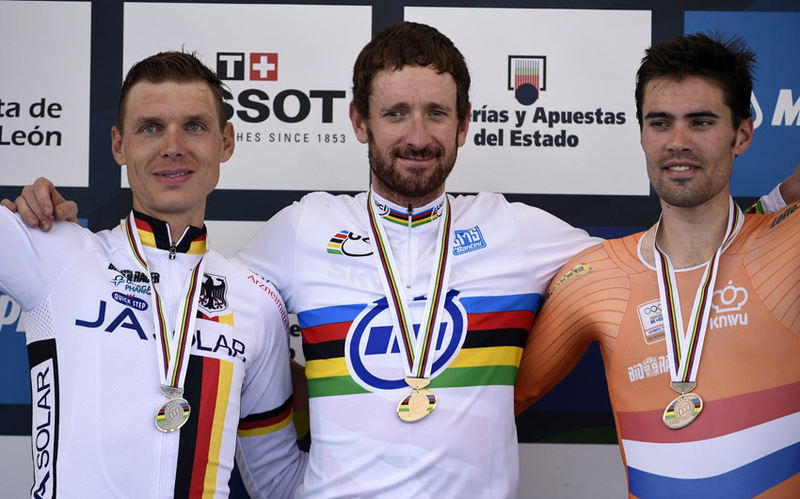 And regardless of whether he successfully achieves his future targets of Paris-Roubaix, the Hour record and Olympic team pursuit gold in Rio, victory in his final ever road world championships will be up there when someone eventually brings out the “Wiggo’s Greatest Hits” DVD. But of course when it’s Bradley Wiggins – Tour de France champion, Olympic champion and now world champion – there’s always that little bit more. There were the two gold Pinarello Bolide time trial bikes mounted as spares on the following car (consigned there thanks to his new toy with the British national champion’s colour scheme). There was the swagger; vaulting his way up a four foot high podium platform as if his body had forgotten about the previous 56 minutes and 25 seconds, then strutting his way back to the TV interviews with a simian stroll worthy of a lead role in a Stone Roses gig. And so too was a bit of swearing. 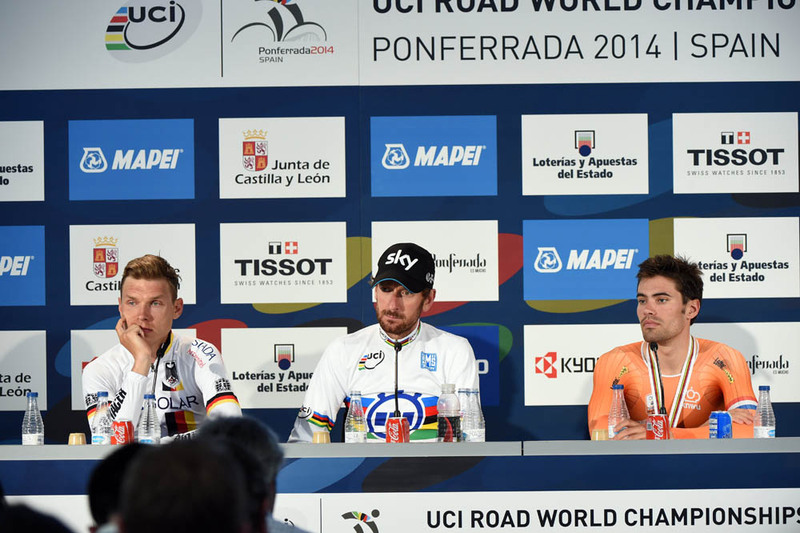 “Try and translate that: ‘s*** your pants,’” he joked with the Spanish translator at the post-race press conference after he’d described how he felt when he heard on race radio that he was only 10 seconds up on Tony Martin on the final summit. Perhaps by way of an apology, the fresh-faced translator got the back of his pristine white shirt signed in black marker pen while he was translating Wiggins’ final answer, while the man himself made his exit, a cheeky grin on his face. “As for the rest of it, it’s for the others to decide isn’t it?” Wiggins added.